The 3rd (2015) Trends Excellence Awards for Architecture & Design are opening for entry really soon and this is an invitation to submit completed works located in India. 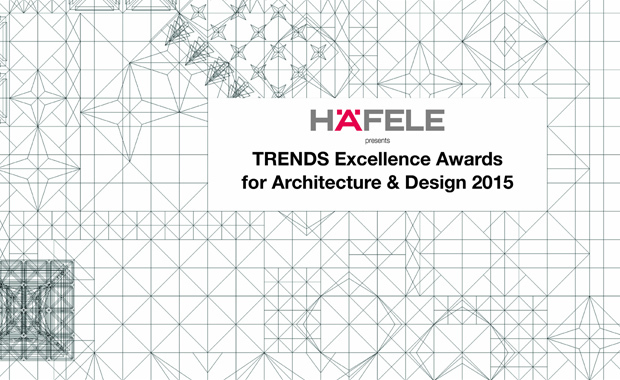 Trends Excellence Awards for Architecture & Design 2015 is India’s premier design competition for professionals, brought to you by India’s Home & Design Trends magazine. The awards were instituted in 2013. Categories are spread over architecture, interior design, product design and visual design. Entries are open to all architects, interior designers, product designers, graphic designers and photographers. A first-of-its-kind in the country, these awards are an endeavor to bring forth the best in architecture, interior design, concepts, forms, and practices. Trends magazine was launched in 1984, in New Zealand to fulfill the need gap for an authoritative source of reference on contemporary architecture and design. Since then, the brand has grown from strength to strength to become one of the most referred to magazines across 11 countries including Australia, USA, UAE, China, Singapore, Malaysia, Thailand, Indonesia and Hong Kong.